We know that intonation can make or break a performance, so stay in tune with the Behringer Racktune..
OVERVIEW A portable chromatic tuner for planet-conscious musicians. 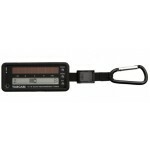 The TC-1S chromatic tuner .. 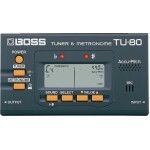 The reliable Boss TU-80 Tuner & Metronome includes a handy, built-in metronome with 7 rhythms .. 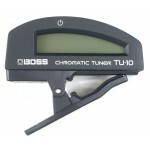 The Boss TU-10 Clip-On chromatic tuner is synonymous with reliable, roadworthy and accurate tuning..